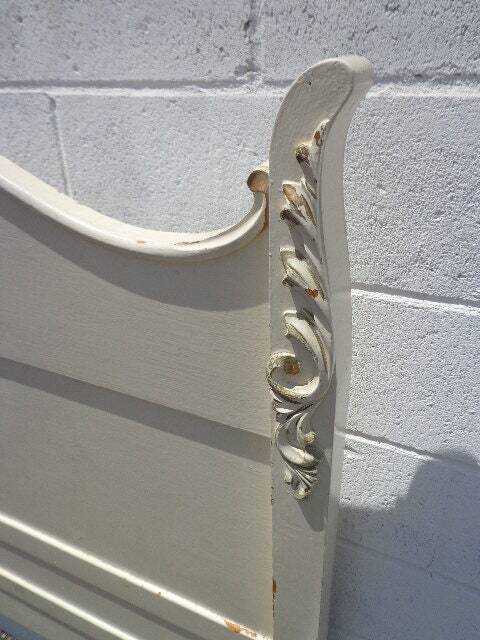 Absolutely gorgeous antique bed with no detail spared. 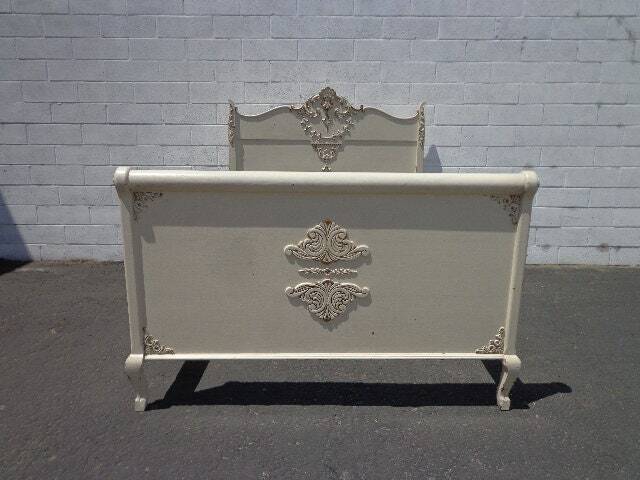 Elegant and charming design that will fit with Country French Provincial Regency Empire Shabby Chic Victorian Rococo styles. 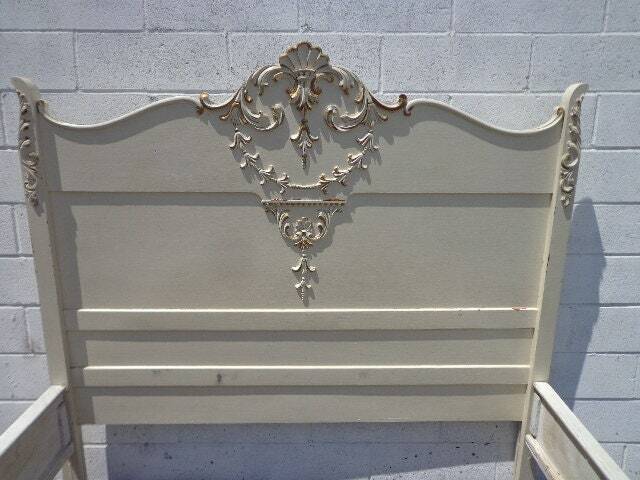 Solid made, painted and hand finished with darling details. 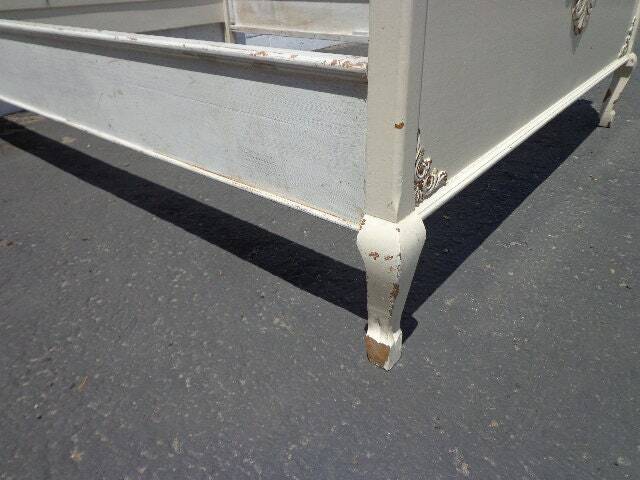 Perfectly distressed with great patina. 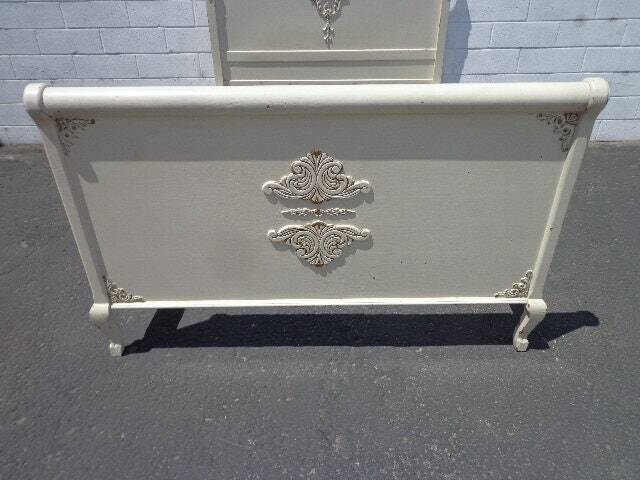 Super pretty country French Victorian antique classic style and character. 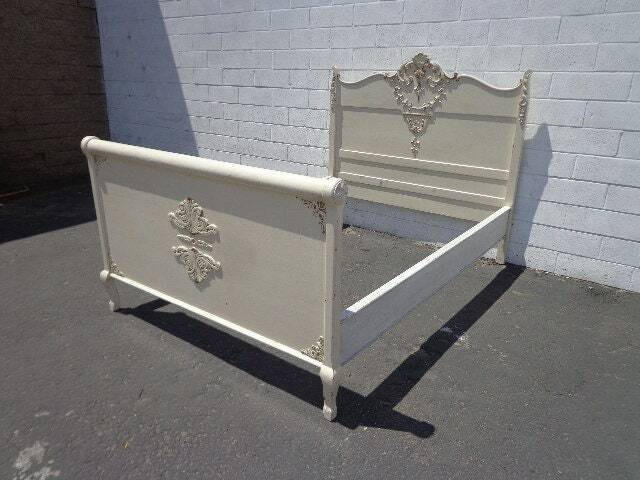 Perfect set for any princess kids room , guest space , etc! 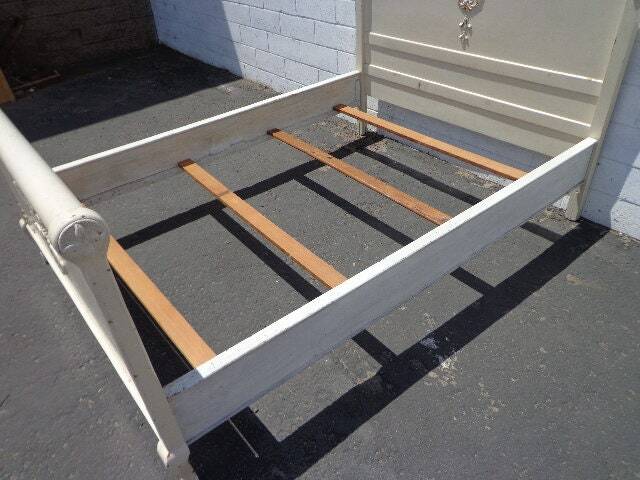 Built to last a lifetime and will add elegance to any room. 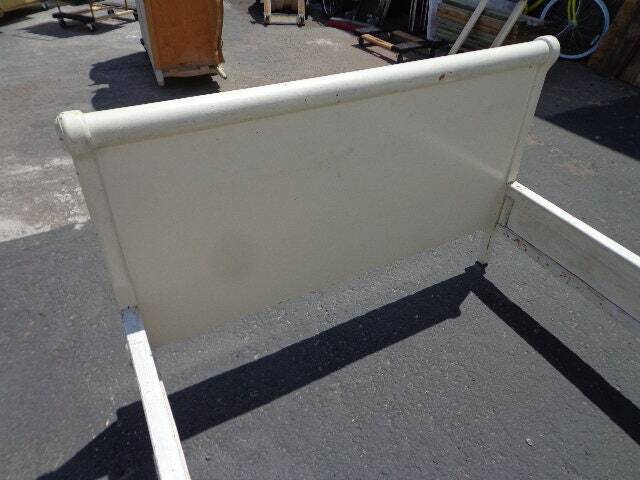 Overall good vintage condition, shows surface wear from and use. 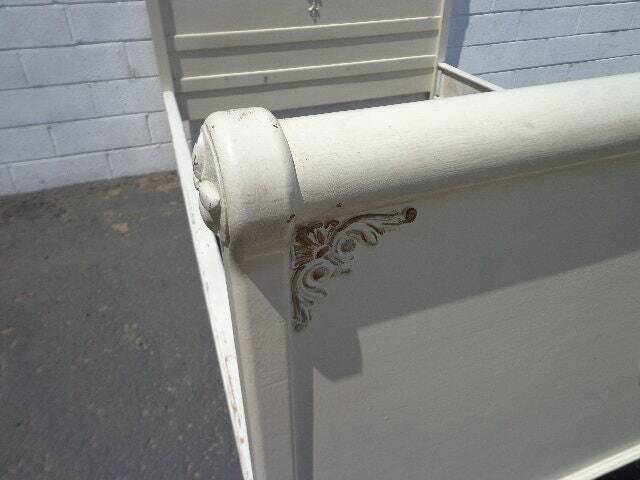 Distressed "antiqued" finish. 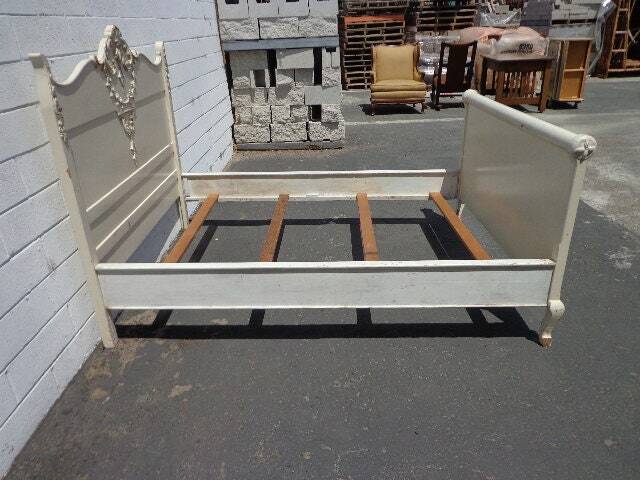 Includes headboard, footboard, side rails, and slats.